September | 2011 | What about this? 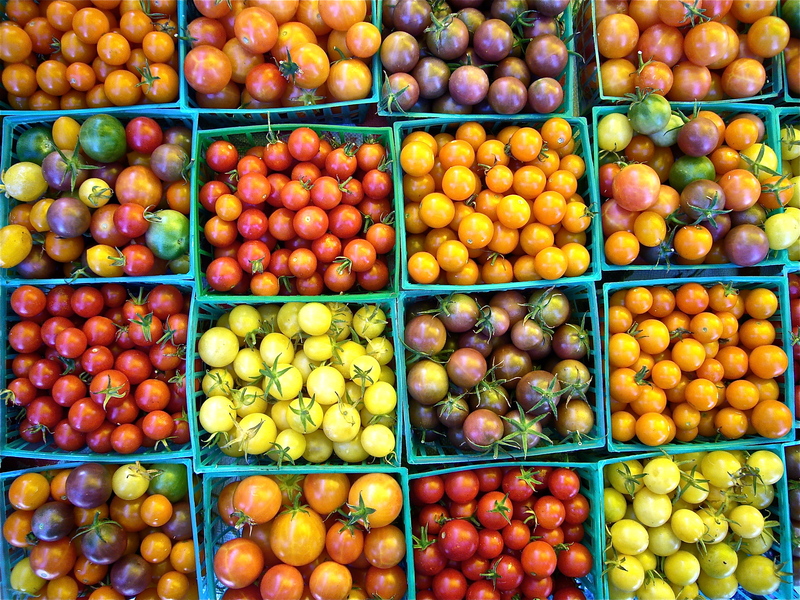 Baskets of ripe tomatoes in a myriad of colors resemble a richly-textured quilt sitting on a table. As summer crops, such as tomatoes, peaches, berries and plums, wane and winter squashes take over the tables at farmers’ markets, I’m reminded that autumn is here. With temperatures still warm where I live, it’s hard to recognize the transition of summer to fall. But I’m ready, actually more than ready, for fall. I’m in the mood for apple cider and sweaters and soup and crisp mornings. What about you? Does music create moods or do moods create music? I think it goes both ways. Whether you need music to match your mood or music to accompany a particular activity, you’ll probably find a playlist on STEREOmood that fits the bill. “Behind every song there’s always an emotion. We don’t know why but maybe that’s why we love music. So we’ve created a way to suggest songs that follow your feelings: stereomood is the free emotional internet radio, providing music that best suits your mood and your activities,” reads the website. Right now I’m listening to a playlist of music to paint by and, although I don’t paint anymore, listening to this playlist makes me want to get out my paint brushes! No, the title is not misspelled. Awwwards are “The awards for design, creativity and innovation on the Internet, which recognize and promote the best web designers in the world.” Cool Gadgets for Creative Offices is an article that caught my eye. Check out the clever designs from ingenious designers. Or should it be, ingenious designs from clever designers? #3 – How to Peel a Garlic in 10 Seconds! Todd Coleman, Saveur executive food editor, shows in a super-brief video how to peel a head of garlic in less than 10 seconds! Wow, who would have thought you could work out your triceps and peel garlic at the same time! From Woman’s Day comes this list of 11 Must-Read Fall Books. Although I love to sink my teeth into a good book, I find that I don’t have as much time for reading as I would like. After reading the descriptions of each of these books, though, I’m in the mood to throw away my “To Do” list, snuggle on the sofa with my dog, and read them all! Spend some time this weekend nurturing that little idea of yours! The invitation read, “Last names: A-M hearty appetizer, N-Z dessert.” I sighed, put the invitation on my desk and thought, “Appetizers, again.” With a last name that begins with a letter in the first part of the alphabet, I’m pretty much destined to bring appetizers to every group party I’m ever invited to attend. Although, just once, I’d like to bring a dessert, I’m thankful that my situation has caused me to test and build up a pretty nice collection of appetizer recipes! This recipe for Cheese Squares comes from my friend Kate, who got the recipe from her mother. Kate recently made these for a pre-wedding bash she hosted for her daughter. Helping Kate in the kitchen that evening was my strategy to be closer to the food – someone had to keep an eye on and sample all of the hot appetizers coming out of the oven! Kate outdid herself, as usual, and all her appetizers were delicious, but this one was a standout. 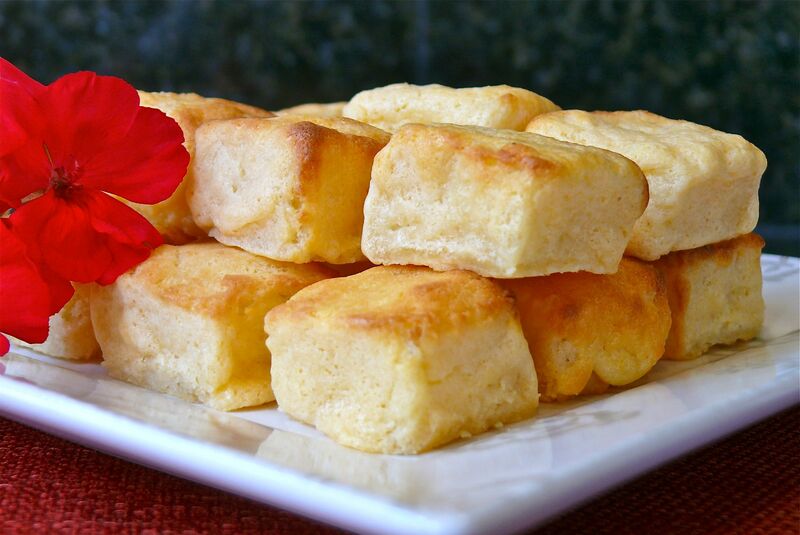 If you like cheddar cheese, butter, and cream cheese, you will like these delicate puffs of bread dipped in a frothy mixture of those sinfully rich ingredients and then baked to a delicious, light golden brown. 1. 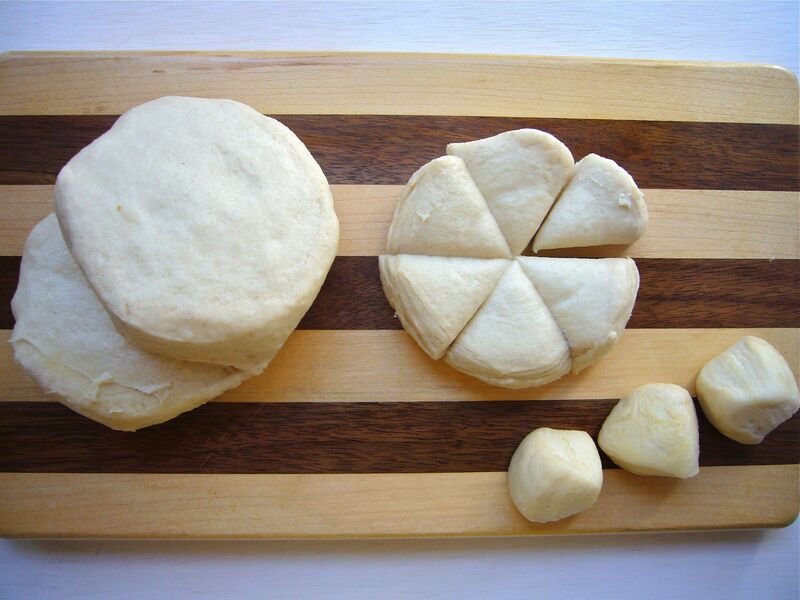 Cut crust off bread and cut into 1-inch cubes. 2. Melt the first three ingredients in a double boiler. Let cool for a bit. 3. Separate egg whites from the yolks. Beat egg whites until stiff and add to slightly cooled cheese-butter mixture. 4. Dip cubes of bread into the egg white-butter-cheese mixture and place on a greased or parchment-covered baking sheet. 5. Refrigerate cubes overnight. Kate has had the best luck when she quick-freezes the squares on a cookie sheet – both if she wants to cook them right away or if she wants to freeze them for future use. If she’s going to freeze them for future use, she makes sure they are completely frozen on the cookie sheet before placing them in a zip-type plastic bag or else they will stick to the inside of the bag. 6. Bake at 400 degrees F for 10-12 minutes. 1. Obviously, the better the ingredients, the better the flavor. Buy flavorful bread and good cheese. 2. I made some Cheese Squares several months ago and froze the extra. Surprisingly, when my freezer went out recently and I was forced to bake these, they still tasted good! As I sat at my computer working on today’s post, I could hear Romeo, my twelve-and-a-half-year-old Cockapoo, snoring under the desk. At first glance, one would think he is much younger. His blond curly coat and his small dog attitude belie his age. But upon closer observation, Romeo’s old, soulful eyes and stiff back legs reveal the truth. He is really a mellow old guy now and is such a joy to have around. With that thought in mind, I wondered if I were to see an old dog like Romeo in a shelter, would I adopt him or would I want a younger, more spry puppy? Would would you do? 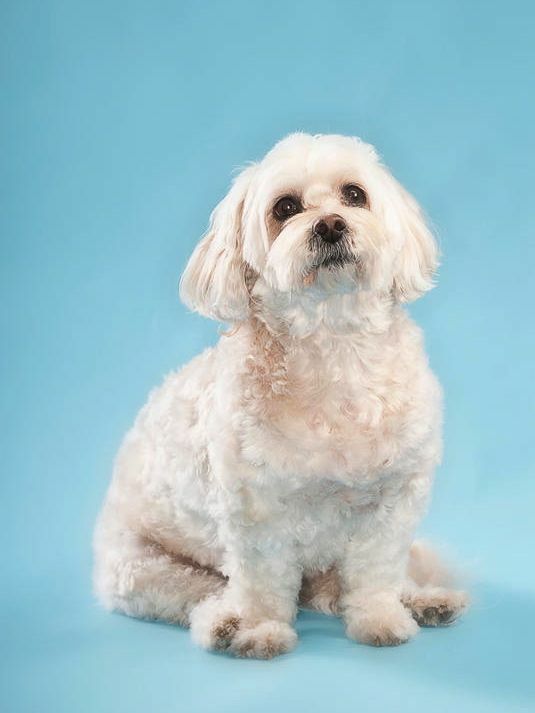 Another site dedicated to senior dog rescue is Muttville. No matter your age, these rules for living are worth remembering. c. Responsibility for all your actions. If you have multiple electrical cords and plugs under your desk or elsewhere in your house, and you don’t have a clue which appliances they belong to, here’s a helpful tip for you. Instead of throwing away those little, square, plastic clips on bread bags that have product dates stamped on them, use them to help identify the plugs. 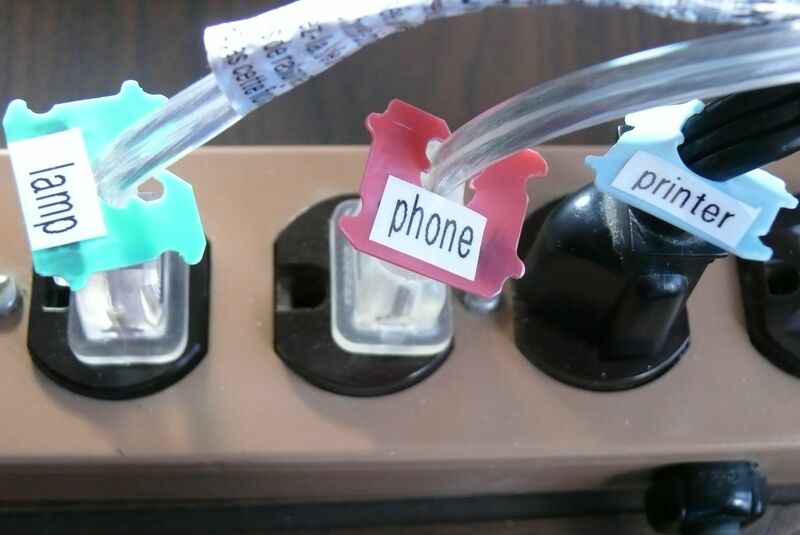 On the unstamped side of the plastic clips, indicate (with a permanent ink marker or label) where the cord originates – computer, printer, toaster, lamp, sewing machine, etc. and you’ll always know which device you’re unplugging! Photographs can often reveal a depth and breadth of emotion that words cannot do justice. This particular photo by Anze Malovrh was one of those types of photos and it tugged at my heartstrings. Enjoy this last weekend in September! Note: The portrait of Romeo was taken by my son Adam. Neighborhood coffees bring people together who otherwise just wave to each other from their cars. Sharing the three c’s – coffee, cake, and conversation – makes a neighborhood a better one. Putting faces to names and names to homes increases neighborhood awareness and safety. But really, it’s just a nice way to welcome new neighbors and to catch up with familiar ones! 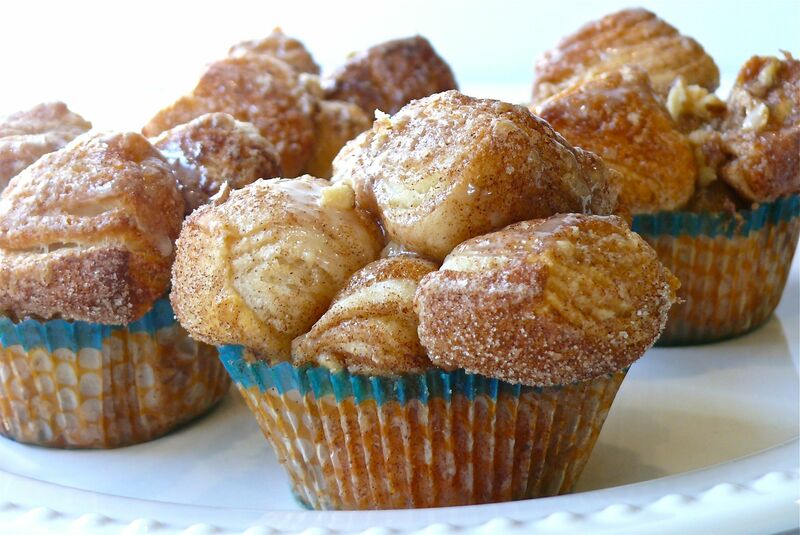 Sweet, pull-apart Monkey Breads are favorites to serve at coffees for three simple reasons: they are easy to make, they serve many guests, and they taste delicious. In anticipation of a neighborhood coffee I’m helping to host in a few months, I “monkeyed” around with my Monkey Bread recipe. With so many people watching their diets these days, I opted to make mini monkey breads and substituted Splenda for sugar with great results! Assembling these little ones took no time at all and the baking time was quick, but the very best thing about these Mini Monkey Breads is that each one has more crispy-crunchy, sweet-cinnamon surface area than you’d get picking apart a regular-sized one! The results weren’t as “mini” as I thought they would be, but that didn’t stop me from devouring a whole one all by myself! 1. Preheat the oven to 350 degrees F. Place paper liners in each cup of your muffin tin and set tin aside. 2. Remove biscuit dough from the containers and cut each biscuit into six wedges. Roll each wedge into balls. 2. In a large reusable plastic bag or large bowl, combine Splenda and cinnamon. Stir or shake to combine. 3. Place balls into the bag and shake well until all balls are evenly coated with the cinnamon-Splenda mixture. If you are using a bowl gently toss the balls with your hands until evenly coated. Set aside. 4. In a small sauce pan, melt together butter and brown sugar over medium-low heat, stirring until sugar is dissolved (about 5 minutes). 5. Place a spoonful of the butter-brown sugar mixture into each muffin cup. Take three coated dough balls and put into bottom of cup. If you are adding nuts and dried fruit, this is the time to tuck some in between the balls. Top with two or three balls and a few more nuts and fruit bits. Repeat, filling each muffin cup with remaining dough balls (and fruit and nuts). 6. Pour a spoonful of the butter-brown sugar mixture over each Mini Monkey Bread and bake for about 15 minutes or until golden, puffy, and bubbling. 7. Serve Mini Monkey Breads warm from the oven. If desired they can be topped with ribbons of sweetened condensed milk. They can also be made ahead – cover with foil and reheat in a 300 degree oven, for about 10 minutes. 1. I used Splenda to cut back on sugar, but you could substitute 1 cup white sugar if you prefer. 2. I added the dough balls a handful at a time into the container of cinnamon-Splenda to make sure all surface areas were well-covered. A word of caution: do not let the coated dough balls sit in the plastic bag or bowl too long or else you will have one, big, doughy mass! 3. I made three different types. In one batch I sprinkled dried blueberries and walnuts. Another batch I added chopped dates and walnuts. The third batch had just chopped walnuts. Each type was in a different colored paper liner, so I could easily tell them apart. For better flavor, toast the walnuts in the oven first for about 15 minutes. 4. I used a punch-type can opener and poured squiggles of sweetened condensed milk right out of the can onto the Mini Monkey Breads. Being pulled in many different directions is something I am used to since I’m a mom with children who still need my help from time to time. The last couple of weeks have been crazy with activity and I tried to help all three of my kids through their recent transitions. That being said, I couldn’t do everything I wanted to do for each of them or do what I would have normally done for each of them, but I did the best I could. 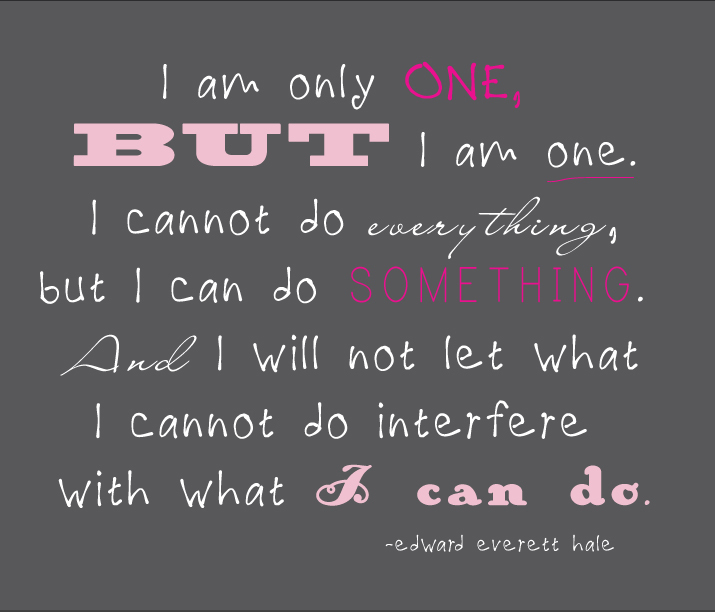 By focusing on the many things that could be accomplished, I did not let the few “unachievable” tasks stop me. Today, my cab driver showed back up at my house an hour later and knocked on my door to give me back my wallet, which another passenger found in his backseat. All of my cash and cards were intact. Today, I ran into my favorite teacher from high school. He was my music teacher all four years. I saw him standing in line outside an unemployment office. I own my a small production company here in L.A. that does animated graphics, sound effects and background music for TV shows, commercials, and small-mid budget movies. I grabbed him out of the line, we chatted and I hired him on the spot. He’s going to be a priceless addition to the team. Today, my cousin and I met for lunch for the first time in almost a year. He sat across from me with the biggest smile I’ve ever seen across his face and updated me on all the things going on in his life. He said all of his hard work was paying dividends and his small business was thriving. He also mentioned that he was thinking of proposing to “the most amazing woman he had ever met.” “I don’t know how else to say it,” he said sometime toward the end of our lunch, “I’m happy. I’m finally feeling comfortable in my own skin.” My cousin lost his life in a car accident on the way home from work this evening. Concerned about osteoporosis? Read iVillage’s list of 7 Foods that Fight Osteoporosis and then check out these exercises in Good for Your Bones: Exercises to Prevent Osteoporosis. Sit back, relax and enjoy the beauty of an arctic light display as captured in a short video by photographer Terje Sorgjerd! While on this site stay awhile and watch his other beautifully soothing videos. Short stories make perfect reads when you are short on time. It takes a great deal of skill to craft a short story, because the writer has far fewer words than a novelist in which to grab a reader’s attention and develop characters and plot lines. Read and appreciate the art of short story writing at East of the Web, where different genres of short stories are available to read for free. The Short Stories application for iPad, iPhone, and iPod Touch is free, so that you can read a short story anytime and anywhere you want! Spread joy. It doesn’t take much, really it doesn’t. There are no guidelines, no right or wrong ways to do it, no right time . . . . Occasionally, a little bit of planning is involved, but mostly it’s spontaneous. Do it and let your actions be joyfully contagious! When you perform acts of kindness, random or specific, you not only do something good for others, but you make yourself feel good, too! Whether your acts are acknowledged or not, you have the satisfaction of knowing that you sent positive energy out into the universe and that you may have made a difference in people’s lives. And if you are ever lucky enough to be on the receiving end of someone’s kindness, pay it forward. Don’t let the positive energy die – keep it going! In our increasingly busy lives, we often don’t have the time or take the time to really listen to what those around us are saying. With a million distractions at our disposal, do we listen carefully enough to read between the lines or to catch innuendos? By listening to others intently, we are conveying to them that they are important to us and that what they have to say matters. Do not try to multitask, solve problems, interrupt, or even converse – just listen. I always say that words have power. In high school, a P.E. teacher gave me the grade of “C” after performing the Cha-Cha in the ballroom dancing section of our P.E. curriculum. When I asked her about the grade, she said, “You have no rhythm.” For decades I shied away from dancing because I assumed I had no rhythm. Now, because I’m old and I don’t care what others think, I dance. In a world of “what ifs” I muse about the difference it might have made if the teacher had only tried to encourage me by saying, “Not too bad! With a little bit more practice, you could be good!” A word of encouragement here and there can create foundations of joy. Spread joy by sharing yourself with others. Share your time, your energy, your smile, your talents, your heart, your possessions, your money . . . . You are a multifaceted person, so there is much to share! Reach out to a friend or relative that you haven’t seen in a while or with whom you’ve lost contact. Call, write, email, text – do whatever it takes to let them know you are thinking of them. Far too many excuses and assumptions prevent us from reaching out to others, but all it takes is a simple “Hello” or “I haven’t seen you in ages, but was thinking about you . . .” to reconnect. Helping others in any way, shape, or form is a guaranteed way of spreading joy. Yesterday in a grocery store, a disabled man in a wheelchair dropped his shopping basket and was unable to retrieve it. Those nearest to him ignored him. I went over and offered my help. The smile I received in return warmed my heart. Helping in large scale ways, such as donating and volunteering, are admirable, but the everyday small ways of helping others mean just as much. Keeping a gratitude journal is a nice habit, but don’t keep all those good thoughts to yourself. Being grateful and showing gratitude are two different things. It doesn’t take much – a simple thank you, a little note, a small reminder to a loved one, a touch on the arm, doing something special – there are so many ways to show gratitude. A sincere compliment goes a long way to spread joy. Compliment someone in their workplace for good service received. Pay a compliment if you notice something different about someone. Leave positive comments for bloggers, newspaper and magazine columnists or any one else whose work you’ve appreciated. Thank your doctor for doing his best to provide you with good care. Why is it so much easier to criticize than compliment? Celebrate life’s gifts everyday. Celebrate nature – spreading joy is not restricted to mankind. I receive much joy from feeding birds in my backyard. Watching them feed and bathe and listening to their songs always brings me back to the present and to a point of appreciation and celebration of life. Celebrate every occasion possible! Especially celebrate special occasions – don’t let them go by unnoticed. Don’t assume that others know you are thinking about them on their birthdays, graduations, weddings, anniversaries, etc. How can they know you are thinking of them, if you never tell them? Don’t wait to celebrate! 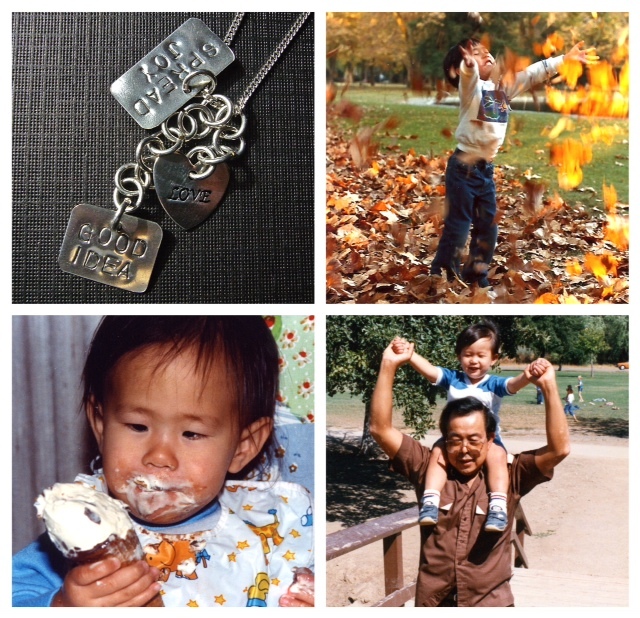 After reading this post, I hope you feel inspired to go out and SPREAD SOME JOY! Random thoughts. That’s usually one of the tags I use when I post my Friday’s Fresh Five! columns. Having random content is both good and bad. The bad part is because these posts, and my blog in general, feature random bits of information and thoughts I want to share, my blog may never attain the readership that food blogs or other thematic blogs reach. Sorry, my head is just too crammed with thoughts and ideas to stick to one subject matter! The good thing about having a random theme is that it allows me the freedom to explore and to share with you everything I find and feel. 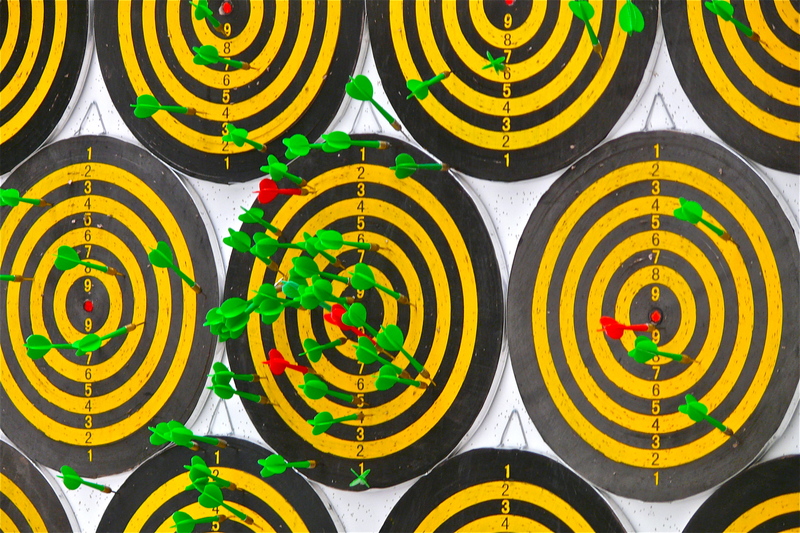 Life is not just about hitting one target all the time; it’s about hitting as many as possible, as often as possible! Inspirational stories, tales of good deeds, volunteer opportunities and more are posted on Tonic. One can never have too much inspiration! Watch analyst Richard St. John presents 8 Secrets of Success in this short and humorous TED video. I never thought I would promote alcohol on this blog, but I was intrigued with the idea of alcohol art. Magnified images of microscopic alcohol and carbohydrate crystals create colorful and abstract pieces of art. After viewing the images, I decided I am a tequila-type of gal! I feel like I’m drowning in a sea of supplements. My cardiologist recommends potassium, magnesium, selenium, and a daily baby aspirin. My general physician wants me to take a vitamin-D supplement and my OB-GYN strongly suggests I take calcium supplements. All these supplements are in addition to the multi-vitamins I take daily and, of course, my normal healthy diet. I’m not into supplements and medications, but of course, I will follow all of my doctors’ recommendations. Out of curiosity, I thought I would check with the famous Dr. Oz to see what supplements he recommends for my age. On an Oprah web page titled, Vitamins and You, links are provided to lists of age and gender appropriate supplements. To remind me to take them and to prevent my kitchen table from looking like a pharmacy, I keep all the bottles in a nice covered basket on top of my kitchen table. Hope you hit many fulfilling life targets during this lovely weekend!